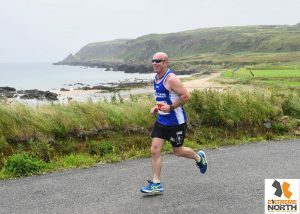 Irish Open comes to Quadrathon territory. Quadrathon Festival is within sight now and entries closing later this month. 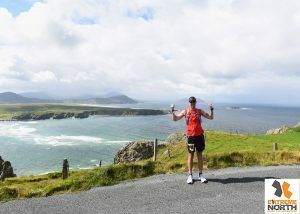 If your wondering what all the fuss is about and what makes this event stand out check out some of the pics below or better still see the Irish Open over next 4 days. 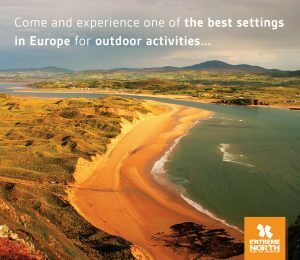 Whether your a previous or first time visitor your in for an absolute treat. 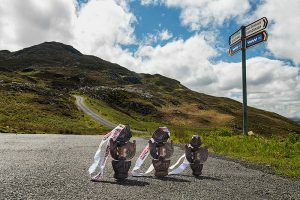 Marathons & Half Marathons, different course each day, 105 Mile Ultra option – Its all happening 16th to 19th August so register now . 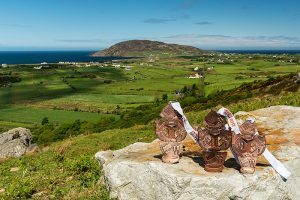 The Quadrathon Festival has it all, the best courses with amazing scenery, the best participants who make every day a joy, the best medals, not equaled anywhere, the best hospitality that is unique to Donegal, we are SIMPLY THE BEST. 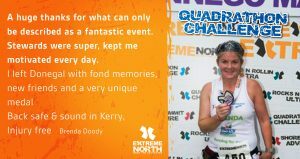 Our runners sell our event, The Quadrathon Festival is 4 day’s of running, endurance and socialising. WHEN YOUR RACE IS RUN WHAT IS THE LEGACY – At Extreme North it’s the MEMORIES AND THE MEDALS. 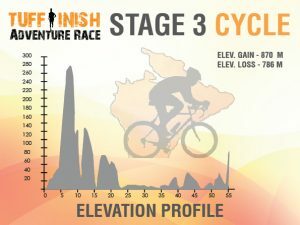 Occasionally you stumble on a real gem of a race, it’s everything you expected and more with bells and whistles thrown in. A “MUST DO” event that challenges and rewards you and sends you home with lasting memories, the best event of the year, That’s the QUADRATHON. 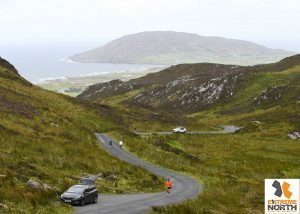 FOND MEMORIES OF SCENERY & FRIENDSHIP – 105mile of Wild Atlantic Way amazing scenery & 4 days of banter & craic. OUR MEDAL ARE THE “JEWEL IN THE CROWN” – Your medal cabinet just can’t be complete without one of these.